Earlier today (January 7th) we had our second rehearsal of Meredith Monk’s music for our upcoming Winnipeg New Music Festival performance on January 30. What a delightful exploration the rehearsal was. Every page of music called for new vocal colours. How wonderful to have the freedom to venture outside the normal realm of choral tone, text setting, and articulation. Rounded, balanced tones were replaced with tones by turns nasal, hooty, yappy, warm, bright, somber, or silly. Made-up syllables replaced words. Smoothly sung sensual phrases gave way to angular yips or vocal shouts. Playfulness became the order of the day. The music unfolded in layers, the emotion in each voice counterpointing the colours and articulations of the other. How did we know when the right sound had been achieved? I doubt that there is a definitive answer, but when it all worked, it sounded as if the complete menagerie of human and animal sounds had been loosed in the room. 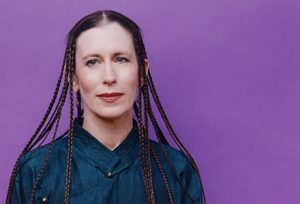 For decades now Meredith Monk has led the way in playing with vocal possibilities and the sounds her music calls for are an endless source of delight. Instead of setting poetic or narrative text, she tells her stories by using sounds from all parts of the aural world that surrounds us. Oddly enough, these familiar sounds are considered to use “extended vocal techniques” when sung, even though they reflect the world we know so well. It’s sometimes a challenge for the singers to use these sounds. They have all been so well trained to strive for vocal “perfection.” Opening up the vocal paradigm to new possibilities can feel risky. The key is to ground all these sounds in the breath, to let the sounds be an honest expression of our world. When that happens, the result is vibrant, stunning, fully human. What might be considered ugly in another context takes on an extreme beauty here. How should the audience respond to Meredith Monk’s music? Camerata Nova audiences have come to expect colourful, bold performances and these performances should be no exception if we do the music justice. Our wonderful singers are used to pushing the envelope and we hope the audience feels free to laugh, cry, or ponder as the music washes over them. We are so happy to share several of the Monk performances with Polycoro. preparation for a vision quest, Feliciano’s piece using a Maguindanao (Indigeneous Philippine) text to relate the story of a sparrow and a hunter. Andrew’s score is full of vocables (Hey-ya’s) while the Pamagun score is filled with bird calls. Like the Monk scores, both of these composers use syllables, layers, and repetition to build their stories. Feliciano’s score brings us back to the menagerie, the sounds of the birds rendered in brilliant technicolour. Andrew’s piece moves us deep inside the vision quest preparation ritual, at times hypnotic, at times pulsingly rhythmic. 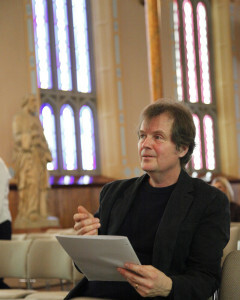 Over the years, Camerata Nova has premiered numerous pieces, and it is a task that we relish. Giving voice to new work is essential for us. Is it risky? Always. Will we do the piece justice? Will we understand and communicate the essence of the composer’s intent to the audience? Will the audience respond? Innovative collaboration is the key to Camerata Nova’s music making and again and again, we have found composers to be generous, willing collaborators. Whether it’s new work by Andrew Balfour, Meredith Monk, Barbara Monk Feldman, David Lang, or Caroline Shaw, all composers whose works we’ve premiered at the New Music Festival in the last few years, the collaboration has always been a joy. As a choral community, we thrive when we combine our gifts with the vision and talents of others. This keeps our music making and community building ever new. Can you imagine a world where everyone had to sing and explore together each day as part of their daily routine? How much more sharing and peace might there be in the world? When we share our stories and work together, even if it’s just using syllables ala Monk, Balfour, and Feliciano, we change the world for the better. We are very pleased to be invited back by the Winnipeg Symphony Orchestra to perform at the New Music Festival’s choral night on Monday, January 30, 2017 at Westminster United Church. We will once again be sharing the evening with Polycoro to present groundbreaking choral works, including several pieces by American composer Meredith Monk. An exciting and provocative experience awaits.